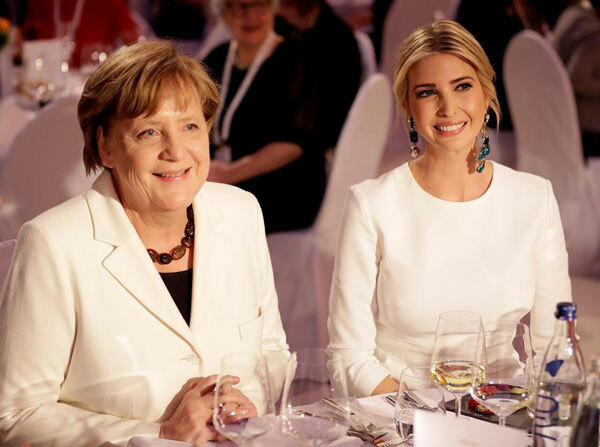 Speaking to the German media group Funke, Mr Gabriel described Ivanka’s advisory role to President Donald Trump, her father, as “nepotism”. He said: "For me there are things that remain strange, like for example the visit of his daughter to Germany which was treated almost like a world event, while the mix of politics with family and business reminds us instead of nepotism and would be unimaginable here." Nepotism is the practice of appointing relatives and friends in one's organization to positions for which outsiders might be better qualified. It is the favoring of relatives or personal friends because of their relationship rather than because of their abilities. This isn't the first time Ms Trump has faced accusations of nepotism. In March, Norman Eisen, the chief ethics counsel for Barack Obama, told CNN that her appointment as adviser to the President was a “violation” of nepotism laws. Jason Miller, the chief spokesperson for Mr Trump's presidential campaign, previously defended Ms Trump by saying that it isn't nepotism because her role is on a voluntary, non-paid basis.